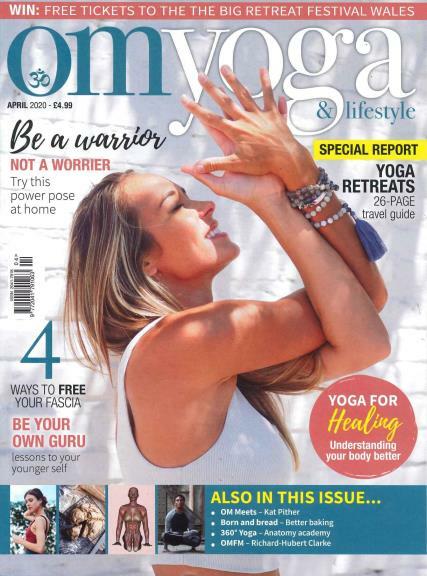 Om Yoga and Lifestyle is a leading publication that is printed and published in UK. It is the leading magazine when it comes to the importance of health and good living. Buy a single copy or subscription of OM Yoga and Lifestyle magazine. The publication makes it an interesting act that adds value and splendor to a simple and complex life, which can be easy to untangle if one chooses to do so. To energize any individual into healthier living and plainer eating and drinking habits, the magazine tries to come up with the newest activities and acts. A more active life can mean a longer life and this is exactly the running theme behind most of its articles and ideas. The physical asanas of yoga can make a person physically fit, whereas the mental character building is taken care of through extensive and intensive kinds of meditation. This magazine inspires any man to live a healthier and more fruitful life and become a more sated individual in his own capacity, by practicing an art that came into existence thousands of years ago, and has led to deep influences in all of our lives, in its small ways.